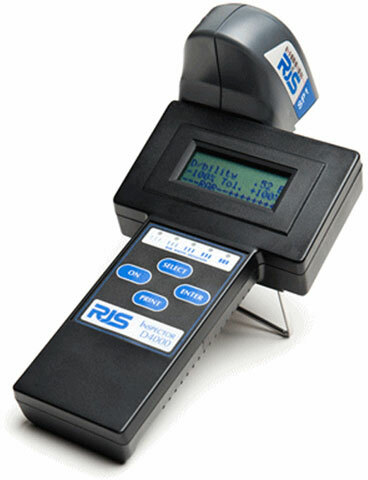 The Model D4000 Provides the Two Most Popular Types of Verification: ISO 15416 and ANSI X3.182 Method and/or Point-and-Shoot Traditional Method. This unique portable bar code verifier can interface with either the patented RJS Auto-Optic scan head or a laser scanner (either in a single piece or connected with a cable). Store and print capability, multiple scan averaging and subsymbology choices are easily accessed through a simple four-button user interface. The scanners are easily installed by the user, which makes the unit quickly adaptable to practically any verification requirement.